At Sam’s Club, we’re committed to being the most valued membership organization in the world by saving members money on the items they buy most and surprising members with the unexpected find. Each week our 110,000 associates provide legendary member service to members -- in our clubs, online and through mobile and tablet devices. Purchase of this card constitutes acceptance of the following terms: The balance on this card is solely a liability of Walmart Stores Inc., in the U.S. and Puerto Rico. To use at SAM'S CLUB®, the holder must be a SAM’S CLUB member or a 10% service fee will apply except where prohibited. Shopping card value may be applied toward annual Membership. This card cannot be redeemed for cash except in those states that require redemption for cash. Lost or stolen cards cannot be replaced without original receipt. 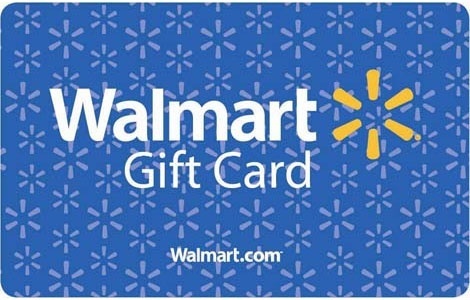 National Gift Card Corp as a partner is/are not affiliated with Walmart Stores, Inc. The services, products or activities of National Gift Card Corp., are neither endorsed nor sponsored by Walmart Stores, Inc. PLEASE NOTE: All plastic Walmart gift card sales are final and cannot be blocked, replaced, devalued, or refunded. Please treat these cards as cash.